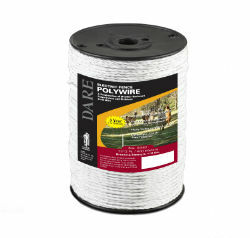 White polyethylene cord woven of UV resistant polyethylene with three strands of strong stainless steel wire. 110 lbs average breaking strength. 1312 ft.